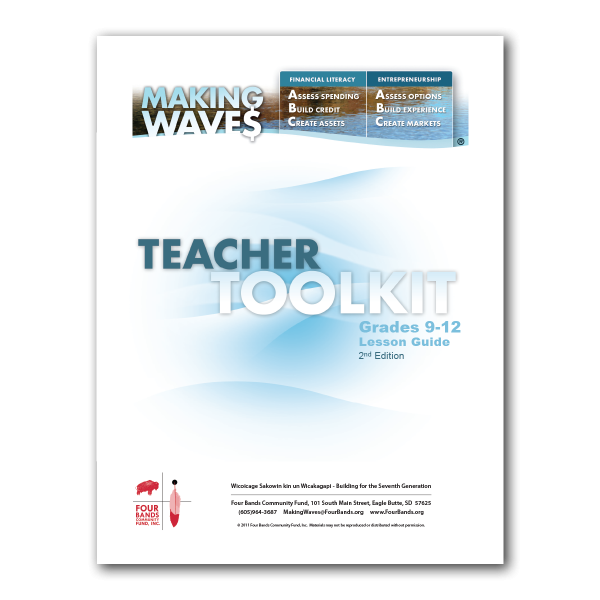 Designed for 9-12 teachers who want to integrate lessons of financial literacy and entrepreneurship into the classroom, the 9-12 Making Waves Teacher Toolkit provides easy-to-follow lesson plans that can be integrated into various subject areas. Each lesson includes estimated time, learning objectives, materials list, along with handouts and worksheets as appropriate. The Toolkit can also provide content for instructors and facilitators of youth programs.